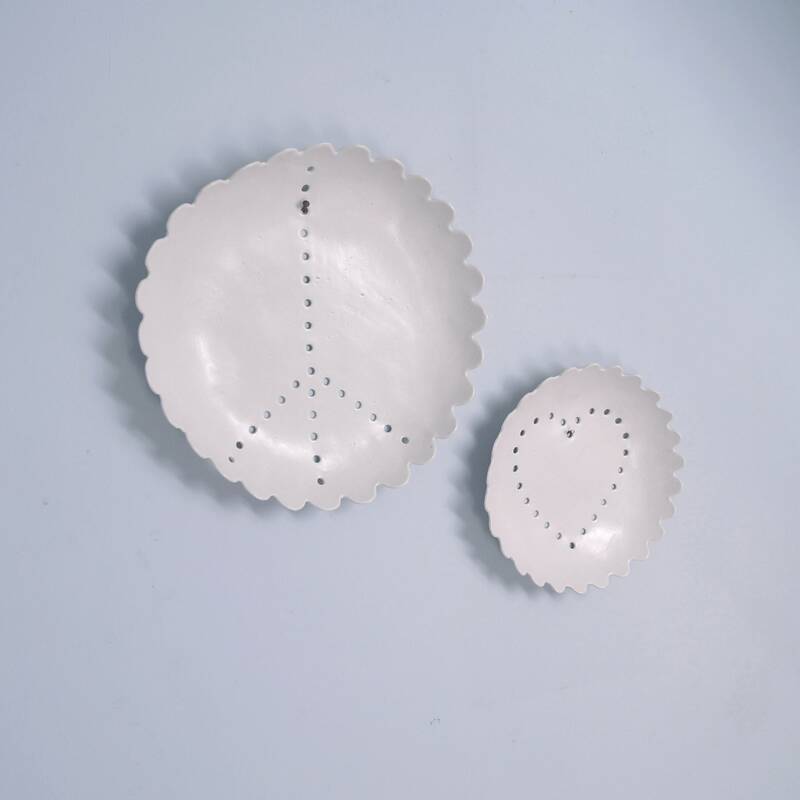 This porcelain wall art comprises a set of two white ceramic plates with holes in a peace / heart design, scalloped edges and satin glaze. They would make a lovely Mothers Day decor gift. 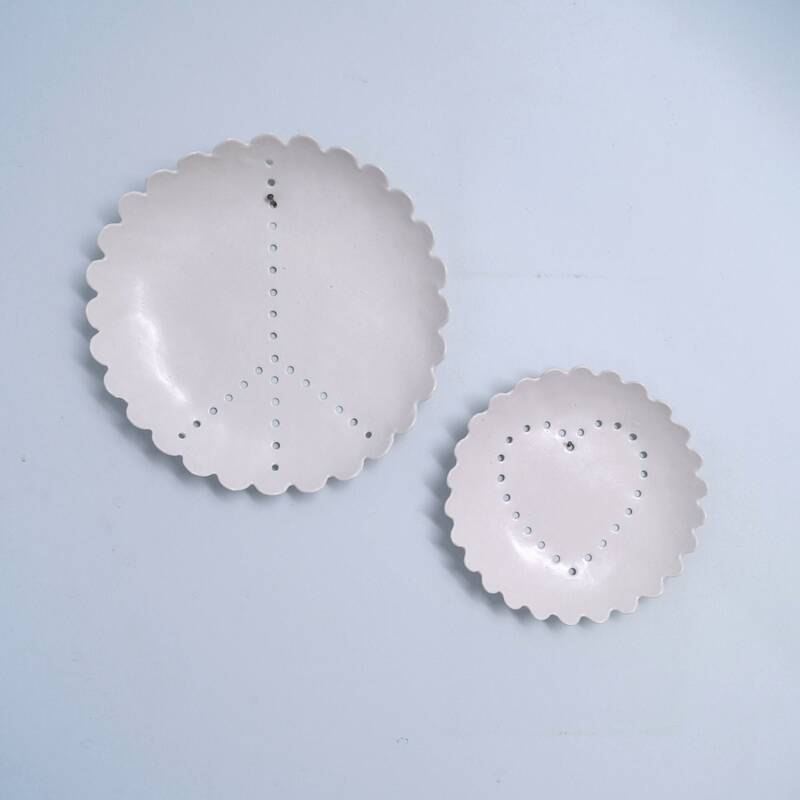 Set of two wall plates. Satin white ceramic glaze both sides. 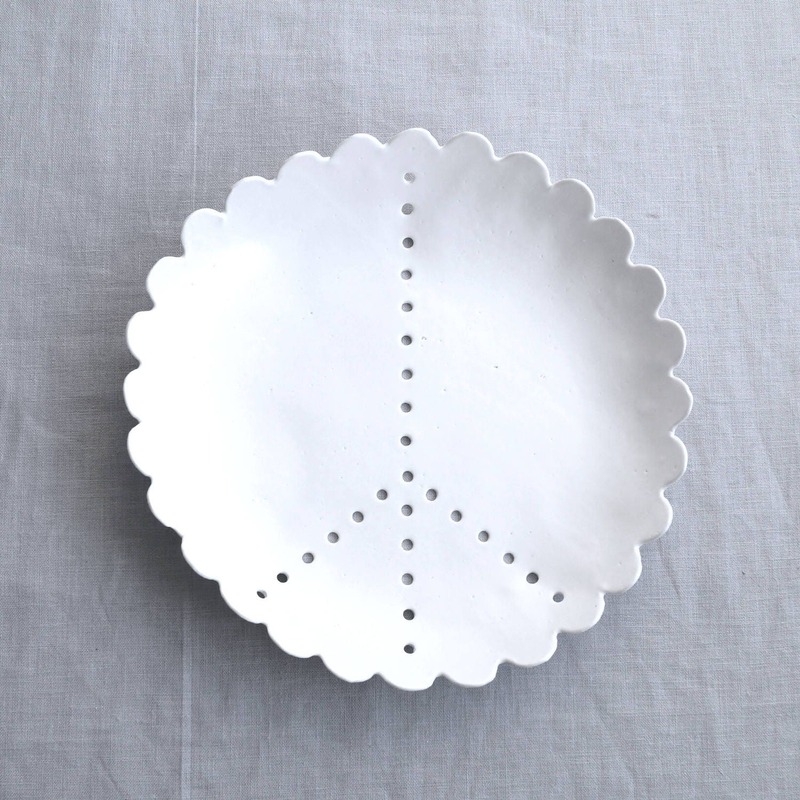 Peace plate 240 mm diameter x 32 mm high approx. 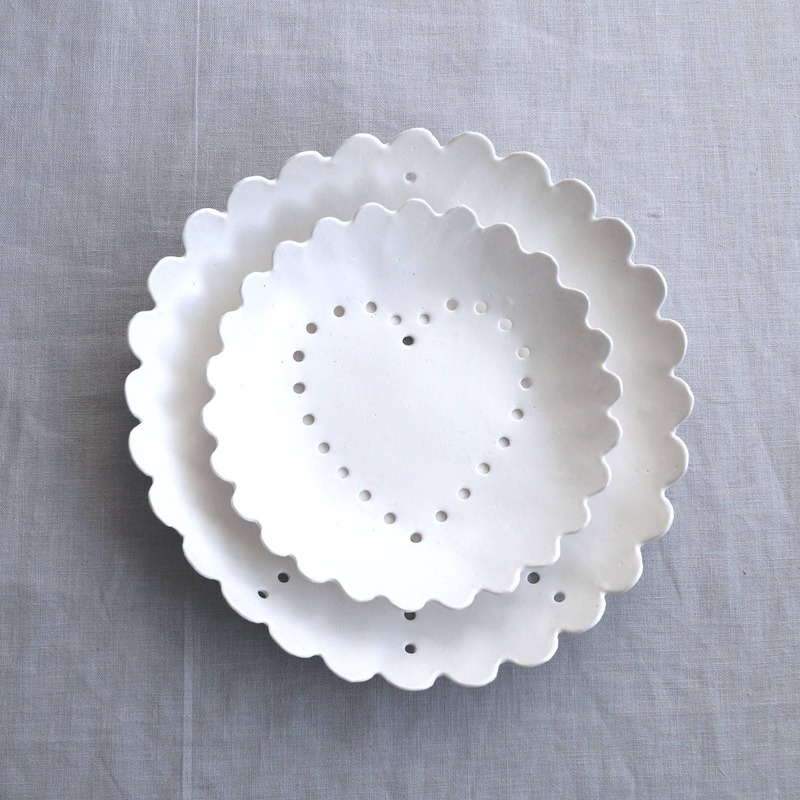 Love plate 170 mm diameter x 28 mm high approx. Hanging by holes on nails allowing them to sit flush against the wall. Please let me know if you'd like brass hooks fitted on the reverse sides. 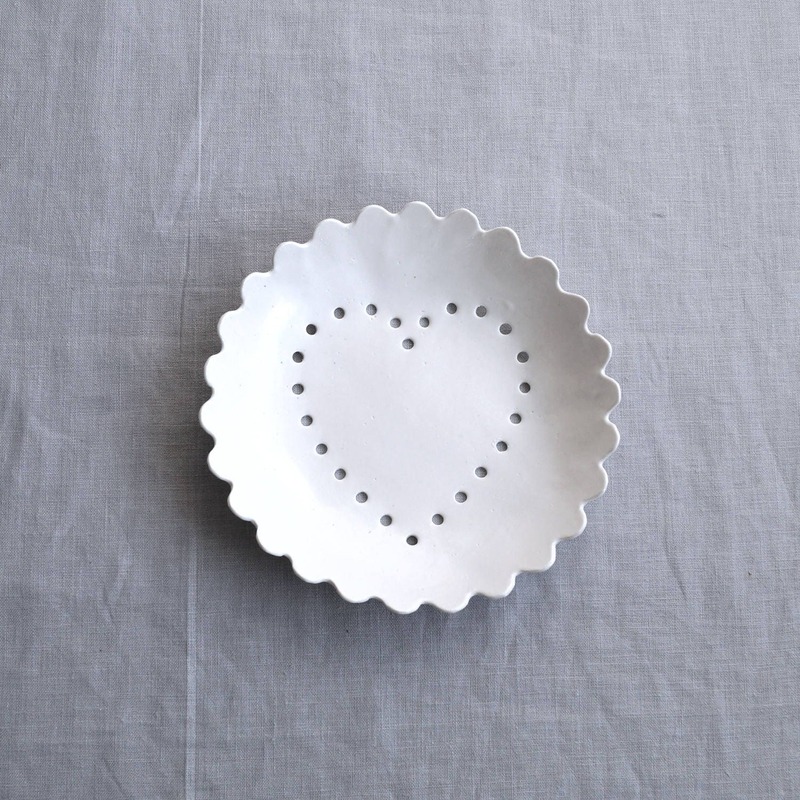 The plates can also be used as berry bowls. Their holes help the water drain away so your rinsed berries don’t sit in a puddle. 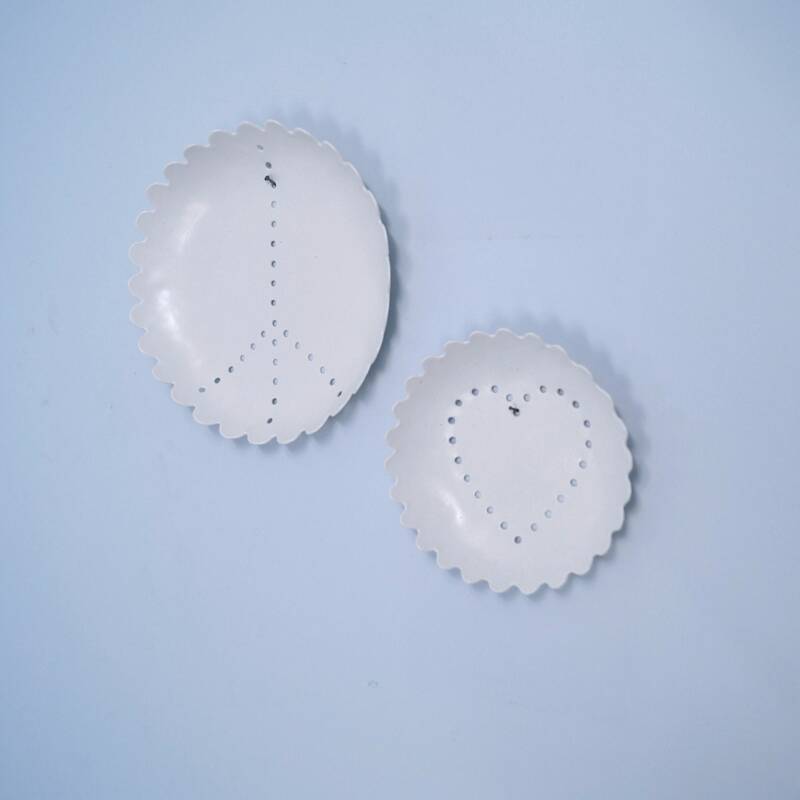 Place the bowls on your own plates to catch the water.